Everyone loves Italian football right? Everyone loves the stadia and the ‘ultras’? Everyone has an ‘Italian’ team? 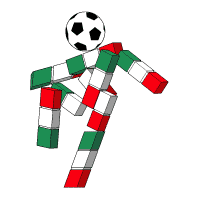 For me, my love of Italy and Italian football started with Italia 1990. I was 13 in 1990 and didn’t know much about football outside of what I saw on Grandstand every week. The English leagues were all I knew. I remember settling down at home to watch Argentina v Cameroon in the opening game. Almost 80,000 people, supporters of local and national football teams worldwide, had come together to witness this 'David and Goliath' battle. Naturally, the colour and vibrancy stood out straight away. I had never seen anything like the San Siro before. The stadium resembled something from a science fiction movie. Other grounds stood out as the tournament progressed, like Stadio Olimpico and Luigi Ferraris with its ‘towers’ in each corner. My love for football had arrived. I was hooked. I set up camp in my room for every England game, cheering them on in the early stages. Gazza mania hadn’t taken off and Gazza was just a talented footballer with the world stage at his feet. Republic of Ireland were still classed as the nation's 'second team' at that point too, no doubt due to the fact that their team consisted mainly of English born players. The tournament progressed and little side stories unfolded it seemed with each game. At the wrong side of 35, Roger Milla was scoring for fun for Cameroon. Salvatore Schillaci was the star of the Azzuri, his six goals earning him the Golden Boot. Schillaci was plucked from pre tournament obscurity and became a national hero. Even England, finishing top in their group, had qualified for the knock out stages! Belgium were next. A dour game was won by a wonderstrike in extra time from David Platt. The nation expected. Cameroon stood between England and a semi final spot. Easy...or so everyone thought! That 'little fella’ Milla nearly spoiled the party but Lineker held his nerve from the spot. Amazingly, and against the odds, England had booked One night in Turin against West Germany. This was turning into a memorable World Cup for me. What a tournament. We all know how the semi final turned out but I had discovered something else which is still with me to this day….Calcio. Italian football was all the rage. They had the best players in the world at that time. Gullit, Van Basten, Maradona. In 1992 Gazza signed for Lazio and Serie A was on my TV every week. Fiorentina are my Italian team, thanks to a weekly subscription to a 'fantasy football league' in the early 90s. Before the days of Baddiel and Skinner and The Daily Telegraph, the only way to play fantasy football was the old fashioned way. These leagues were advertised in the back of football magazines and subscription involved posting a cheque every week in return for a print out of your results. My team was Il Viola. I spent two amazing weeks in Tuscany on my honeymoon and I managed to visit the grounds of Siena and Fiorentina whilst we were there (don't worry, I had permission!). For years I had seen these fantastic grounds on television, mostly via Channel 4 in the early days and more recently on ESPN. I am still waiting for the day that I experience calcio first hand. The Rome Derby maybe, or the Derby d'Italia (Inter v Juventus). The ultimate would be to watch a Wigan Athletic team play in Italy in European competition. Having reached the group stages of the Europa League in the 2013/2014 season, the draw wasn't as romantic as I had hoped and the dream remains on hold for another year.